inscription: Top left edge has "Designed by Bill Oetinger with Kerry Tremain." Poster has a yellow background at the top with an infinity symbol made of green and blue stripes. In the center of the infinity is the earth focused on North and South America. 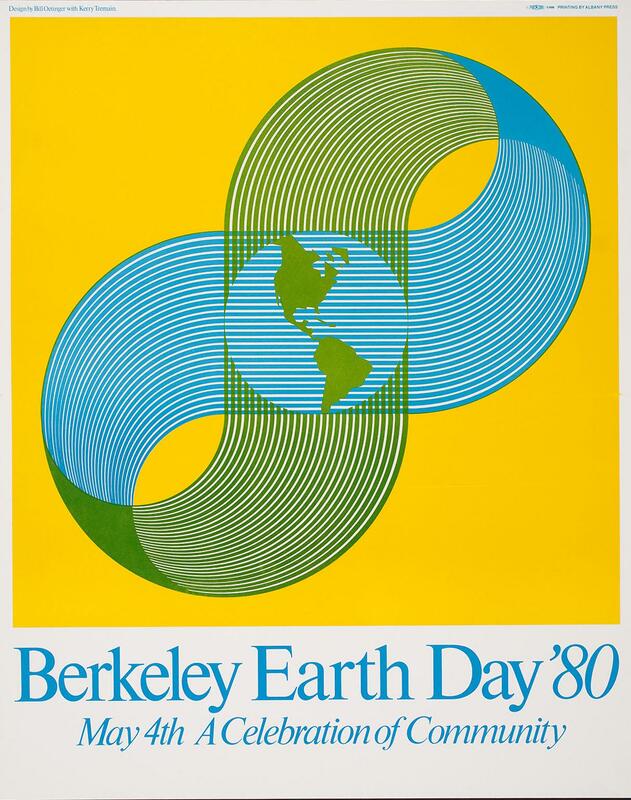 Below in blue is "Berkely Earth Day '80/ May 4th A Celebration of Community."